DLT delivers IT solutions across all federal agencies and education institutions. From the planning stages of IT implementation to the final purchase decision, DLT’s technology solutions providers and our dedicated service center can find every organization the right solution. DLT provides federal agencies with effective ways to serve American citizens, warfighters, analysts, and the federal workforce. DLT has technology solutions and partners to meet both state and local government technology needs that cut costs and build efficiencies. 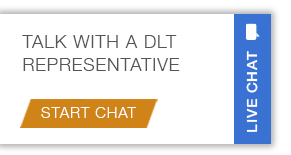 From small colleges with an abundance of challenges, to large universities that need large-scale solutions, DLT can help no matter what the challenge. DLT’s portfolio of health IT solutions are designed to help optimize and improve operational efficiencies across diverse healthcare enterprise environments. DLT can help agencies streamline the entire lifecycle of any public works project from the design, build, operate, and maintain stages, into a single workflow.